How Far is JHL Kandigai Plot? 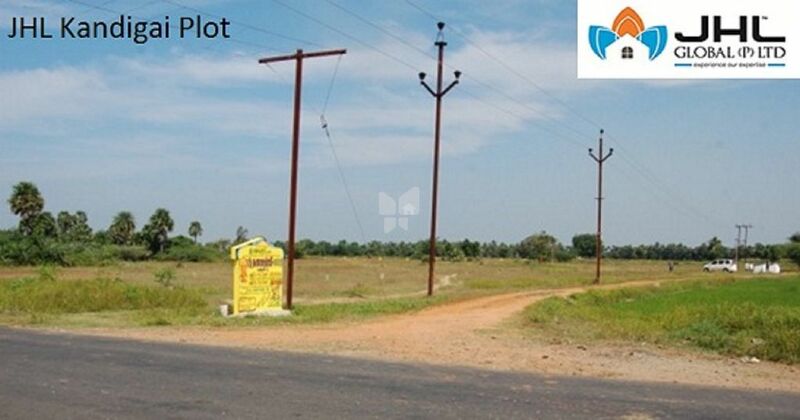 JHL Kandigai Plot is one of the popular residential developments in Chennai. It is among the Ongoing project of its builder. It has lavish yet thoughtfully designed residences. JHL was Started in August 2012, J Homes and Lands is engaged in Property Development mainly of Promotion of residential spaces in and around Chennai. We have skilled and passionate 100 member team who are striving to prove themselves. The average age of the work force is 25. The team in the past has sold out nearly 3000 units in span of 24 months The team has sold 300 DTCP approved units out of which 75 units were sold out in a single day The team has successfully managed to sell 47 villas in 4 months and it has to be noted that it is more than a crore project Within two weeks after its inception J homes has managed to sell 14 units at Alappakkam with vignesh builders J homes also believe in showing back its gratitude to the society by indulging in various social service activities. To remain a top real estate development company that provides world class products thereby continuously satisfying the customers. As we plan our strategies to sustain growth for the years to come, our core values of Caring, Teamwork and Continuous Improvement will remain to drive our future initiatives. Consistently providing " dream come true experience " for our customers We want to serve the humankind in all possible ways We consider uncompromising quality standard as our core value We have dedicated employees who believe in the policy of " growing along with the company" . J homes was started by an enthusiastic, young visionary, Mr. A. S. Jaya Chandar (Managing Director) along with 5 experienced and dedicated directors. We a passionate work force consisting of 100 efficient members.